Pete Seeger and Lee Hays wrote the song “If I Had a Hammer.” If you remember it, you probably heard the Peter. Paul, and Mary version. Like many songs of the era, it calls for “love between my brothers and my sisters.” At the risk of sounding like an ogre, I would like to suggest that if you really love your brothers and your sisters, hammering is not the best way to help them. If hammering is all you do, you will get little but tendinitis. Swinging a hammer allows one person to produce little. In fact, you would be lucky to feed yourself, much less any of your brothers and sisters. There is nothing wrong with physical work. I did my share of it on the farm and never really minded it. Being on the business end of a hammer was part of the collection of menial tasks we more or less had to do now and again. Even then I realized, though, that it was not my physical efforts alone that produced food for a significant number of others, but my efforts combined with technology. Say, a combine. A combine is a wondrous piece of machinery. 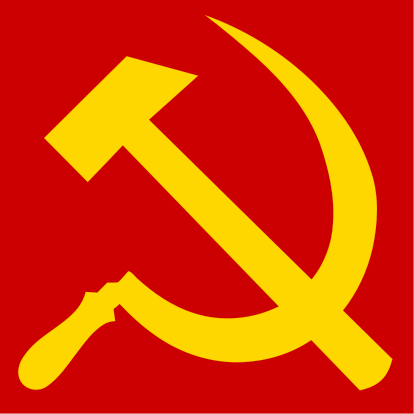 Instructively, it replaced the sickle, the second of two symbols in Communist propaganda. By integrating the brain work of thousands of engineers, a combine can do in a day what thousands of sickle-wielding peasants could not do in a week. Bless Peter, Paul, and Mary, but the reality is not groups of happy people linked arm-in-arm in solidarity, but near-ghosts crippled by years of back-breaking labor. As you build a business, you may have to do the swinging at first. That’s fine, as long as you don’t do it the rest of your life. Use your mind to figure out how to build a combine or a mechanized hammer. Create ways to employ other people who at this stage can only swing a hammer or sling a sickle. Working at less than your mental potential is a travesty. Ring your bell for your brains, not your back.